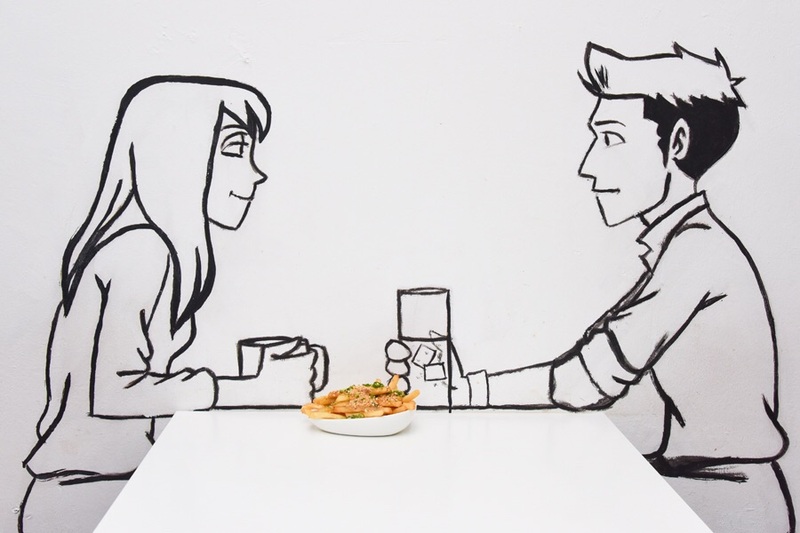 [Updated 05 Feb 2016] Flavour Flings Cafe has announced that their Salted Egg Croissant would only be available for TAKEAWAY on certain days (Mon, Wed – Sat). No Tues. No Sun. No dine-in for the croissants. 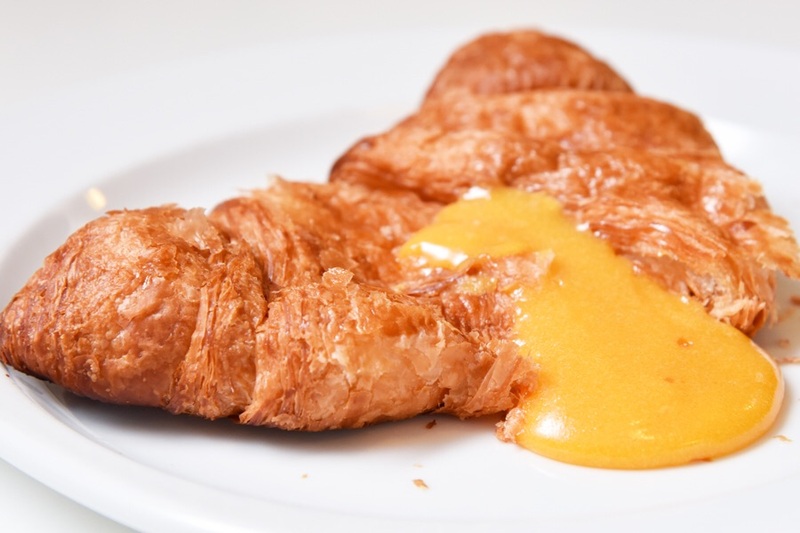 Note that the croissant may be sold out early on certain days. 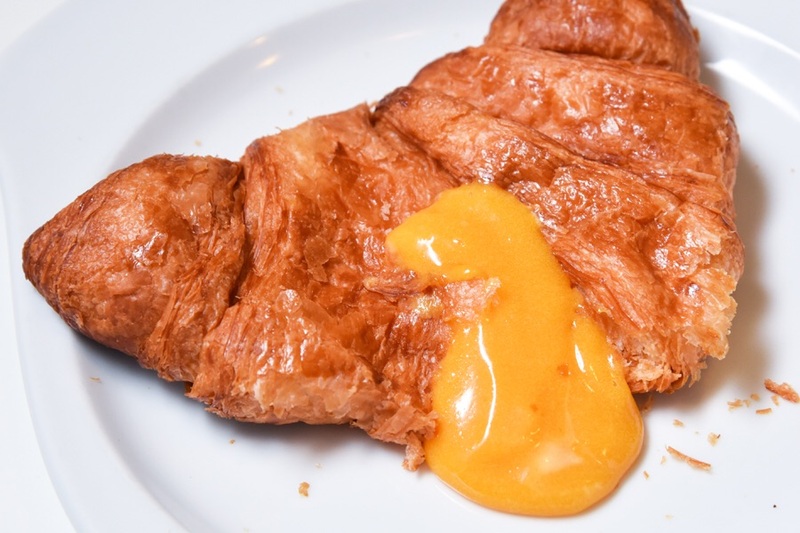 [Original Entry] Possibly the 1st salted egg croissant in Singapore. 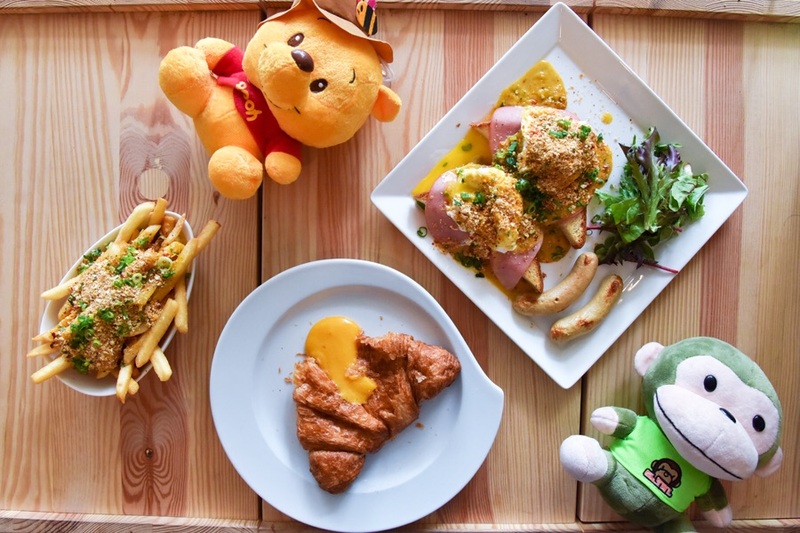 This food-fad first appeared at Urban Bakery in Hong Kong, followed by Le Bread Days Café in Kuala Lumpur and Seven Oaks Bakery Café in Johor Bahru. 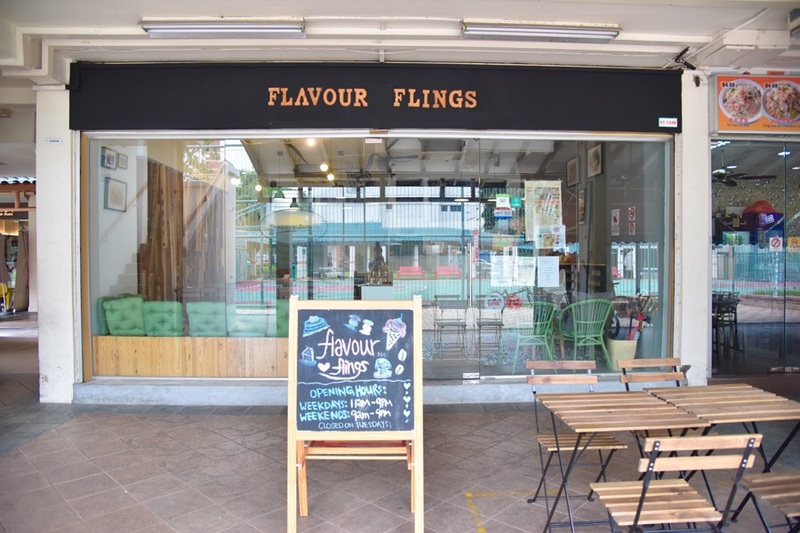 Flavour Flings has been around for quite some time in the heartlands at Kovan, and attained their Halal certification recently. 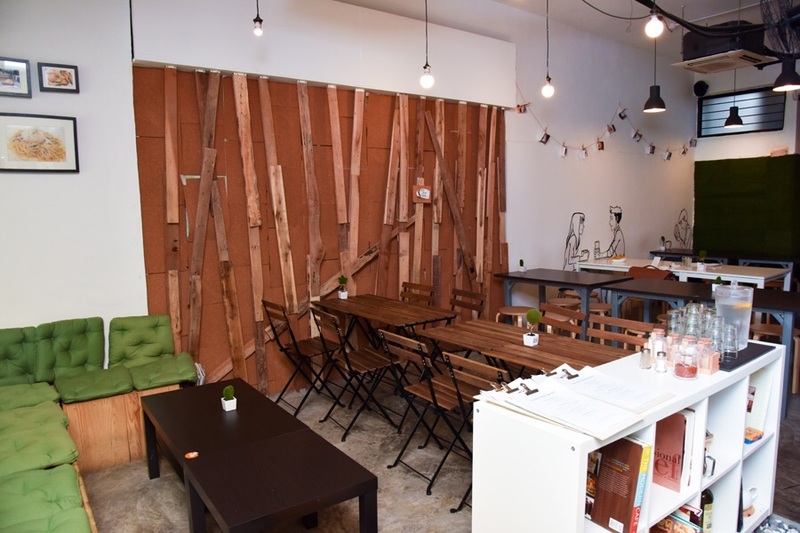 Their interior is cozy and homely, with sofa seats, wooden furniture and wall murals. Competition for cafes is tough nowadays, and to stand out among the rest, Flavour Flings had not just 1, not 2, but 3 salted egg dishes. Savory options of Salted Yolk Fries ($8.90), Salted Yolk Egg Benedict ($15.90) and sweet option of Salted Yolk Croissant ($7.50). Hmm, probably a tad expensive. Or is it crazy expensive? In comparison, the ones at Urban Bakery in Hong Kong set us back at HKD$22 approx (SGD$4) and RM$5.90 (approx SGD$2) at Seven Oaks Bakery Café in Johor Bahru. Taste-wise, the salted egg was thicker, more “gao” (heavy) and on the sweeter side, similar to that of a liu sha bao (lava custard bun). 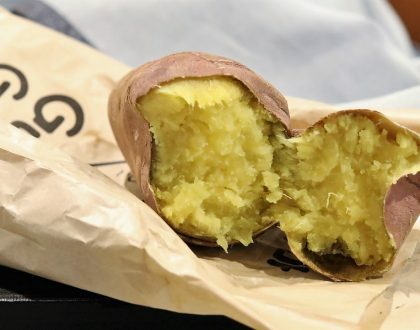 The fillings were generous, covered by crispy, buttery and flaky exterior. Surprisingly. 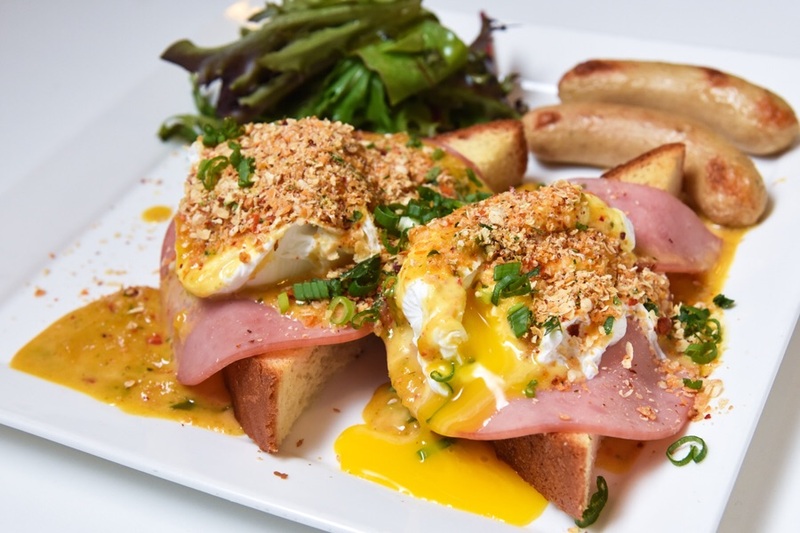 For a savory version of the salted egg, the Dirty Benny ($15.90) came with turkey ham, buttered cereal and salted egg sauce on poached eggs. 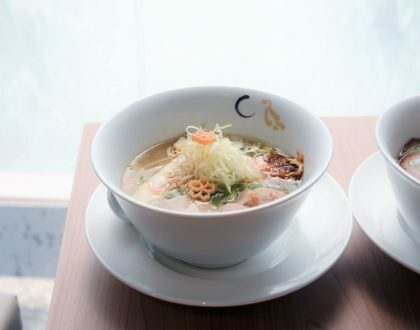 Buttered cereal with laksa leaves with a tinge of spiciness reminded us of cereal prawns at tze char stalls. We loved the crispiness and crunchiness even though it could overpower the salted egg in terms of quantity. The Salted Yolk Fries ($8.90) was generously soaked with salted egg yolk (so much that it nearly overflowed). 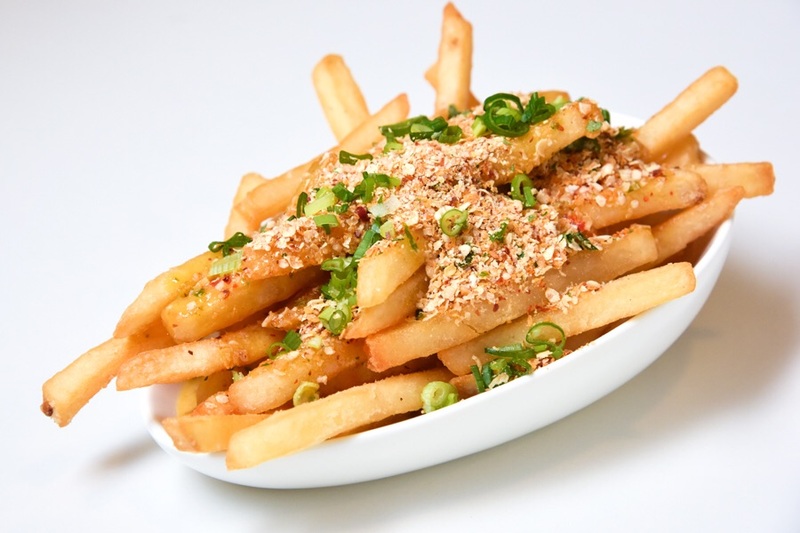 The thick cut fries at the top layer were drizzled with buttered cereal similar to Dirty Benny and drenched in gao gao salted egg sauce at the bottom. Jelak (overly rich) towards the end, but still worth the calories. Couldn’t hold back anymore? It’s time for a fling at Flavour Flings! 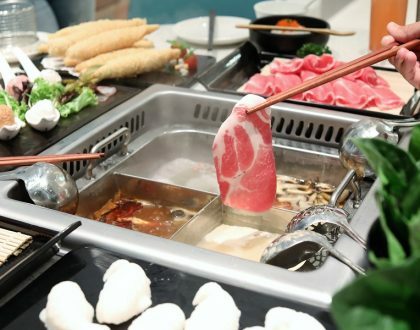 *Written by Daniel’s Food Diary Cafe Correspondent Nicholas Tan @stormscape. We would like to invite you over to try our salted egg yolk pasta at Rice & Fries! Visited the store after lunch hour and ordered a side dish for takeaway, it took well over 40minutes for it to be served (Customers behind me dining in got the order first). Asked them an estimate on how long it would be and they told me awhile, waited for another 15minutes before asking again and did NOT get a reply. After asking again they finally said another 5minutes. Really wouldn’t mind if they did give a proper response instead of not giving an acknowledgement/getting back. Its not very near Kovan MRT. Its actually nearer to Serangoon MRT station. Board bus 113 from kovan mrt station if u are going, or bus 45,53,53M from Serangoon MRT station. Its a disaster! Ambience wasn’t that great and the pasta was horrendous! What makes it worst is most items on the menu are over priced (for the quality and location). Will never be back!